The past few weeks have allowed us a glimpse into the heavily politicized world of trade politics. 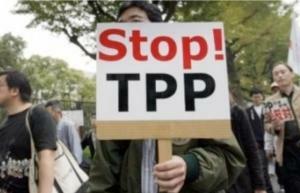 Last month, the Senate narrowly passed the undemocratic “Fast Track” trade promotion authority. Now the trade fight is headed to the House. We, as people of faith, have an opportunity to reframe the debate to ensure that marginalized communities and God’s earth are at the center of U.S. trade policies. With negotiations on the Trans-Pacific Partnership nearly complete, corporate interests have trumped any form of public participation. As a result, access to medicines, good jobs, food security, and environmental protections are all in jeopardy. Join the Interfaith Working Group on Trade and Investment to hear a play-by-play on the Senate vote and the latest on the House fight. Learn what small actions you can take back home that can have a big impact on the global economy. Sign up here.